“My first really serious encounter with the work of Anna Phillips was about 12 years ago when her work appeared in a group show at the gallery of which I was Director. The major element of the sculptural construction was a large bath-like form painstakingly decorated with small pieces of pink plastic. It was a ‘mad’ object, but her objects and her installations began to expand in ambition to become not just ‘mad’ but virtually impossible, certainly improbable. Anna later launched into a series of works based on soap, detergent and shampoo. One particularly unusual early outcome of her experiments was the production of a kind of skin from evaporated bath water. Could the fact that Anna is a qualified nurse have anything to do with her choice of materials and her capacity to launch boldly into the abject and awkward space of bodily cleansing and its resultant by-products? There was a strange ambivalence to such work, slimy, stretched surfaces, just holding together, perhaps draped over a rail like a piece of fabric, another suggesting a clammy garment, all threatening to tear or melt in a moment. Some of Anna’s earlier constructions required the work of many hands. They resembled in some cases gargantuan versions of what might be found originally as folk craft. Her collections of pieces of plastic, and later plastic bags, were turned into other things by patient manipulation and methods such as crochet have been central to her production for some time now. Groups of Anna’s friends would often gather to assist in the fabrication, just like a sewing circle, except that the end point was art production, not domestic drudgery. A few threads run through all of this practice but they are feminine in their placement and sensibility, the nurse, the mother, the crafter, the mender of broken things. All these associations spring into consciousness overlain with a sometimes almost hysterical Mardi Gras quality, surfaces shimmering, slipping and sliding, the commonplace raised to the extraordinary, the mundane transformed. And what of work? The petals in this installation are individually crocheted, there is no getting away from the fact that the fabrication of such things requires great patience and dedication and a huge time commitment. Naturally we don’t admire just the graft in the craft – the outcome is the thing, but in Anna’s case there is something both dogged and a little perverse about her choice of material and method and in the case of some of her creations something that delights in the evidence of total commitment. Where it reaches strangeness is when one begins to question whether there is anything that could not be undertaken with this method, no matter how seemingly ‘inappropriate’ or ‘unnecessary’ it might seem. Anna’s installation reflects a growing interest in plastic as a material over the past decade, the last seven years of which have been spent in Korea. She is keenly interested in the aesthetic qualities of the material, in both accentuating them and re-presenting them through the transformation of a making process. Have you ever looked at Cherry Trees in the rain? Their trunks deepen to a glossy blackness, further highlighting the subtle richness of the blossoms, which in turn vary in colour through light red and many pinks to pearly white. The apparent ‘synthetic’ appearance of Anna’s trees in Kelly’s Garden are not too far from the natural character of Cherry Trees in nature and they are quite clearly openly proclaiming the synthetic nature of their fabrication. Anna is not sentimental at all about the material and readily refers to the ambivalent nature of her relationship with it. “I hold no regret for the passing of plastic. Its origin and subsequent mutability refer to a type of natural evolution of its invention, and makes plastic able to simply reinvent its older matrix into a new and improved version. The fascinating history of plastic is testimony to substances invented, discarded, and forgotten, to be superseded by a more developed product, similar to the cycles of the natural world… So I say, let plastic, in the time it has got left, be allowed to shine, be seen for the incredible properties and abilities captured within its matrix and allowed out. Let its astonishingly malleable, transformable, reproducible qualities be promoted; and, let its tough and silken surfaces, gentle transparency and vivid colours shine with the joy of new life”. Anna Phillips is a visual artist specialising in work made from transformative materials such as plastic bags and feminine beauty products, For the past seven years, Anna has lived and worked overseas, gaining invaluable experience teaching art at an International School, in Seoul, South Korea. She has also been busy maintaining her art practice, exhibiting work both internationally and in Australia. Based in Hobart again, Anna has returned to complete further post-graduate study. 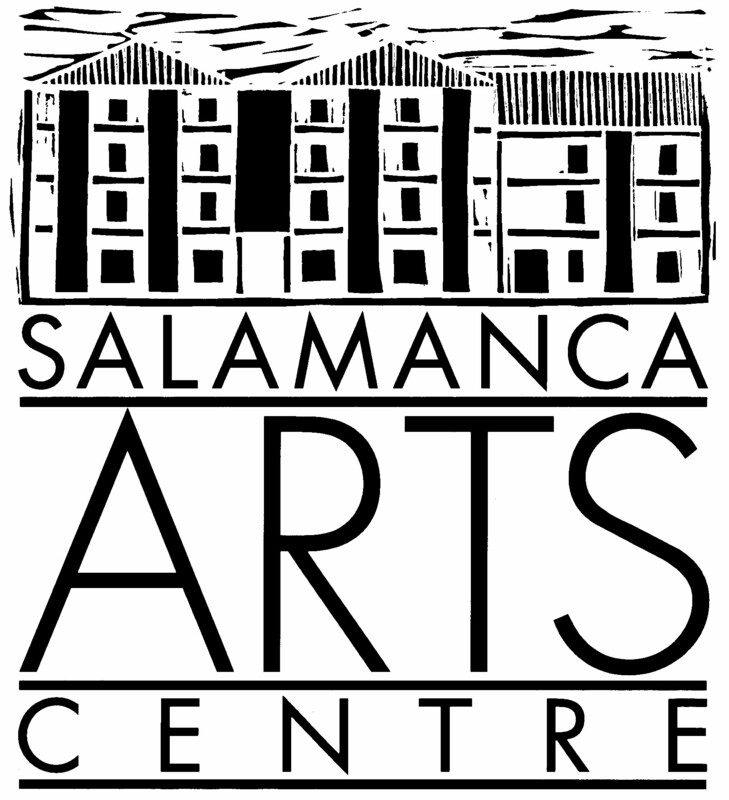 Anna would like to acknowledge Gerhard Mausz, Seán Kelly and Salamanca Arts Centre for their support, and all the people who saved and donated plastic bags. Special thanks to Nicole and Mathew for help with the trees, and Migliore shoppers in down-town Seoul carrying the distinctive ruby red bags with the gold lettering, who gave her the substance to make her work.